Either the Kremlin intends to open up a Sea World franchise on the Black Sea, or they are diving back into the cetacean warrior business. Most likely it is the latter, and Russia is looking for five dolphins to make it happen. RT reports that the Kremlin seeks bottlenose dolphins three to five years in age, measuring 2.3 to 2.7 meters long, that can be delivered to Sevastopol by this August. They are looking for three males and two females and are will to pay up to $24,000 for the lot. They also must be captured under the purview of a trained veterinarian that specializes in dolphins, and must be kept in quarantine by the seller for a month before being handed over to the Russian military in seawater tubs. Sounds like a great time for the dolphins! Both Russia and the U.S. had marine combat mammal programs during the Cold War and the US, and possibly a few of other countries, still have them today. These animal soldiers are trained in many tasks, including finding mines and sunken equipment, and protecting installations from intruding frogmen and submersibles. Considering the rise of unmanned underwater vehicles, they are more relevant now than ever, even if that idea will make animal cruelty opponents more apoplectic than Sea World ever can. What Is This Mysterious Underwater "Robot" That A Chinese Fisherman Caught? For decades it’s been rumored that marine mammal commandos could be equipped with darts, clamps and spears so that they could be used as offensive weapons against divers. Although the U.S. has flatly denied they ever deployed their marine mammal soldiers in this manner, Russia never did, and it is known that devices that could allow dolphins to attack divers did exist and were tested on Russia’s military dolphin force. The Kremlin’s marine mammal program was based primarily in Crimea on the Black Sea throughout the Cold War. After the fall of the Soviet Union, Ukraine inherited the program, but by the time Russia annexed Crimea in 2014, it was rumored to be in a very sad state and in the process of shutting down permanently. Now it appears that Russia wishes to resurrect the program as part of its initiative to drastically revamp its naval forces, especially those that are part of its Black Sea Fleet. 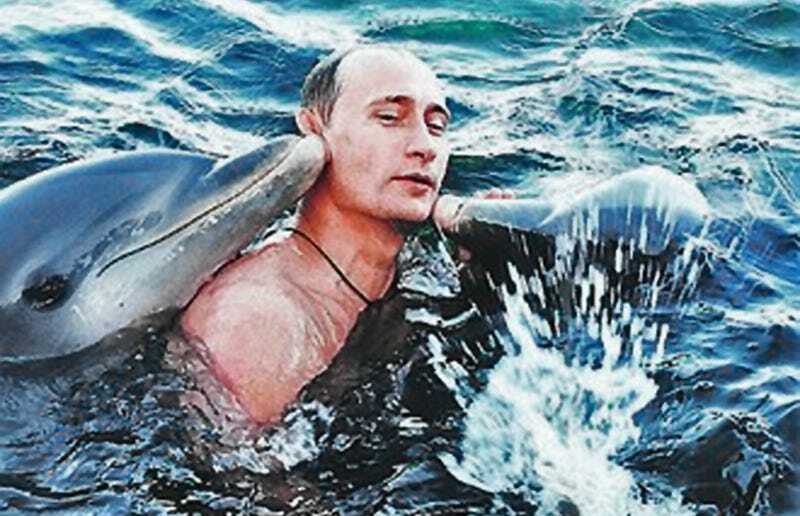 If the Kremlin gets the dolphins it is requesting, this wish could become a reality as early as the end of this summer.